If you receive a substantiation letter from the Division of Child Protection and Permanency (“DCP&P”), formerly known as the Division of Youth and Family Services (“DYFS”), and you are not named as a defendant on a complaint filed by DCP&P for custody or care and supervision of your children, you can file an administrative appeal of the Division’s substantiation. In other words, any person who is substantiated by DCP&P to have perpetrated child abuse or neglect is entitled to review of that decision. But, if the Division files litigation against you, a family court judge of the New Jersey Superior Court will conduct a Title 9 fact-finding trial to determine whether our not you abused or neglected your child within the meaning of the applicable law. On the other hand, DCP&P does not necessarily always file a Title 9 complaint in family court and in those situations you can request an appeal with the Office of Administrative Law (“OAL”). In either situation, the Division is required to provide written notification to any “substantiated” perpetrator of child abuse or neglect, regardless of the perpetrator’s relationship to the child victim. If DCP&P notified you that you have been substantiated as a perpetrator of child abuse or neglect, you should contact the DCP&P defense attorneys at the Tormey Law Firm to discuss your situation and review your appellate options. Our NJ DYFS lawyers represent clients throughout New Jersey including in Belvidere, Somerville, Flemington, and New Brunswick. Contact our offices now for immediate assistance at (908)-356-6900. The initial consultation is always provided free of charge. The New Jersey Administrative Code sets forth timing and content requirements of a request for an administrative appeal of a substantiated finding of child abuse or neglect. In fact, any request for an administrative review of a substantiated finding of abuse or neglect must be filed with the Administrative Hearing Unit of the Department of Children and Families within twenty days of receipt of the substantiation letter. 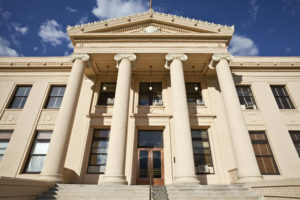 As long as the administrative appeal is filed properly, the appeal will eventually be heard by an Administrative Law Judge at a plenary hearing. During the plenary hearing, a Deputy Attorney General will present DCP&P’s case to the judge in a fashion similar to that of a Title 9 fact-finding trial. Specifically, the Deputy Attorney General will provide documents and call witnesses to support the Division’s substantiation of abuse or neglect. However, one major difference between a Title 9 fact-finding and a plenary hearing at the OAL is that hearsay evidence is admissible during an OAL proceeding. Thus, it is important to consult with a DCP&P attorney to prepare for your OAL hearing and develop your defense strategy within the rules that control OAL proceedings. As with all types of hearings regarding DCP&P cases, a hearing at the Office of Administrative Law is a legal proceeding during which the stakes are high: the outcome will determine whether or not the substantiated finding of child abuse or neglect will be maintained by the Division on the New Jersey Child Abuse Registry. As such, you should consider having an experienced DCP&P defense attorney handle your appeal to the OAL. If you want to dispute a substantiated finding of abuse or neglect against you, the experienced DCP&P appellate attorneys at the Tormey Law Firm are always available to assist you with your appeal and you should contact the DYFS defense team at the Tormey Law Firm today at (908)-356-6900.